Chris was exposed to the wine industry as a young kid when he watched the bottling machine at his family’s boutique Southern Oregon winery. He was always eager to help, but it took years of exploration in other areas before he came back to the realization that wine was his calling. Chris enrolled at the Northwest Viticulture Center in Salem, Oregon and soon found he had a study buddy in an unlikely person. 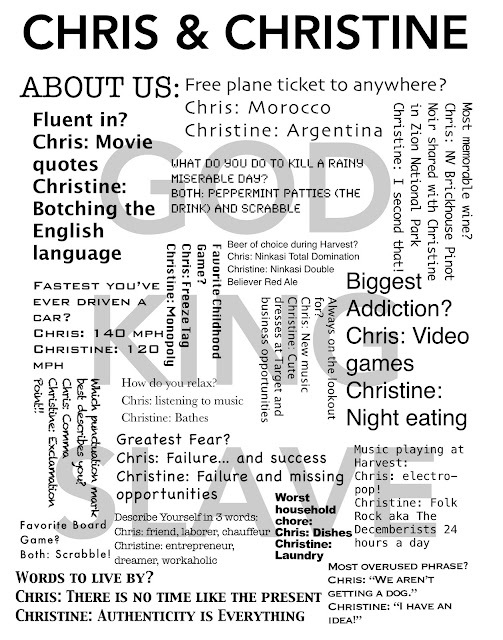 Christine was majoring in Entrepreneurship at Oregon State University when she also took an immediate interest in Chris's studies. Christine moved in to the Corvallis Public Library until she read every book on wine she could get her hands on. When a job that combined her love of marketing with her newly discovered interest in wine opened at Willamette Valley Vineyards, Christine joined the staff as the Social Marketing Coordinator. This is where she was first introduced to the region through their second label, Griffin Creek Wines. Intrigued by the quality of fruit, potential, diversity and getting in on the ground floor, Christine instantly felt a calling to bring her marketing and business passion to Southern Oregon. Chris also felt this calling and was excited to lend his education to help build up the region's wine quality. The two saw and opportunity to jump in to the industry by founding The Southern Oregon Wine Blog while still living 200 miles away and traveling down on the weekends to write about the winemakers and wines. It was on one of these trips that they met up with a local winemaker, Rob Folin, who gave them an incredible opportunity to get a head start on their future wines. They started with just four barrels of Syrah and Tempranillo sourced from the Folin Vineyard. 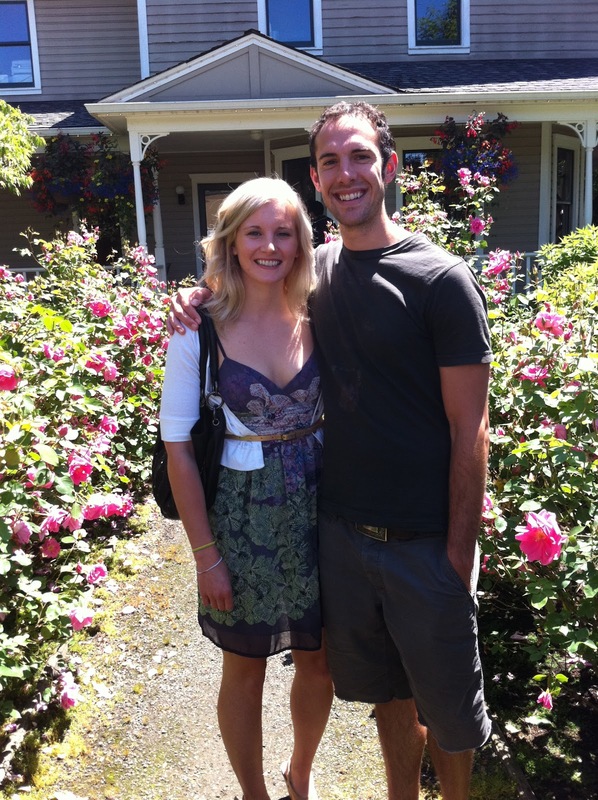 Not even a year later, upon graduating college, Chris & Christine moved to Jacksonville to work for local wineries, him at Folin Cellars and her at Troon Vineyard, while launching their own brand, God King Slave Wines. The two are committed to being active members of their wine community. They are bringing new energy to the region while discovering their artistry by experimenting with varietals, blends, and styles. But, that is the excitement and beauty of it, in their opinion. When tweets like this pop up in your feed, consider it a great day. And we did. Thanks Clive - Northwest Wine Anthem. A Look of What's to Come.